Hadley - No. 499. Three Design Choices! 48", 60", and 72" lengths. 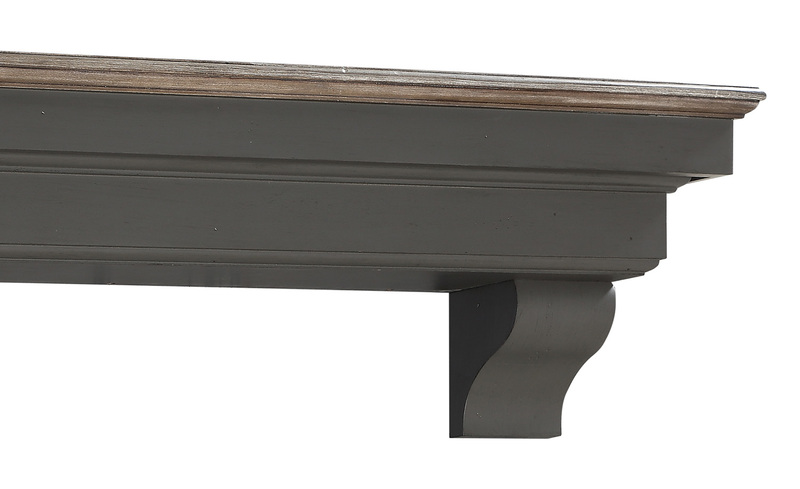 #27 Cottage Gray Finish with Rustic Chalk Wash Top. Available only in #27 Cottage Finish. The top has a chalk patina that will naturally fade into the distressing over time. 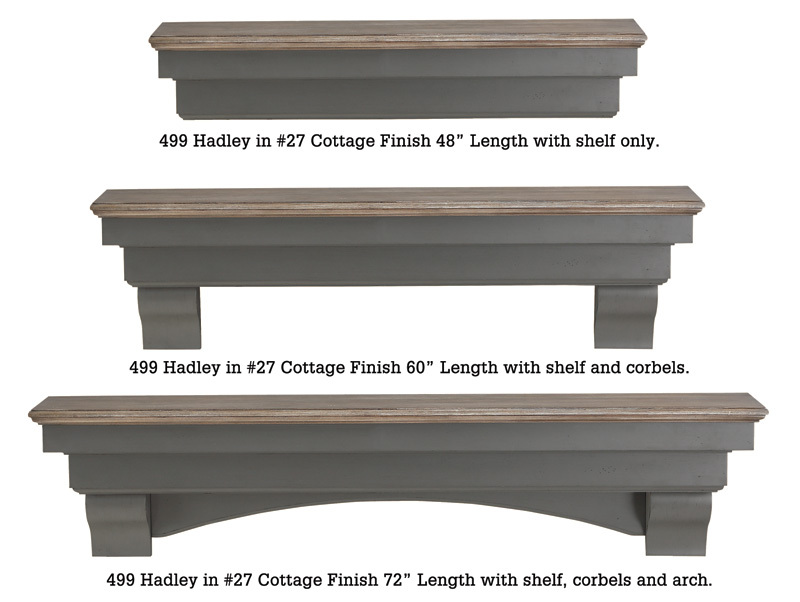 499 Hadley shown with shelf, corbels, and arch. 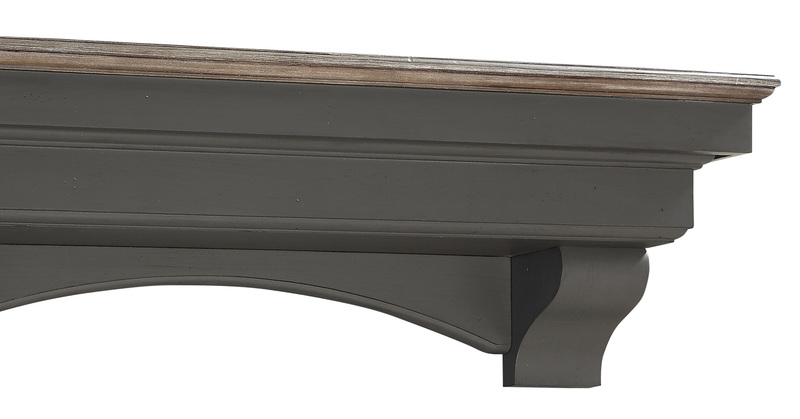 Shown in #27 Two-Tone Cottage Finish with Rustic Chalk Wash Top. 499 Hadley shown with shelf only. 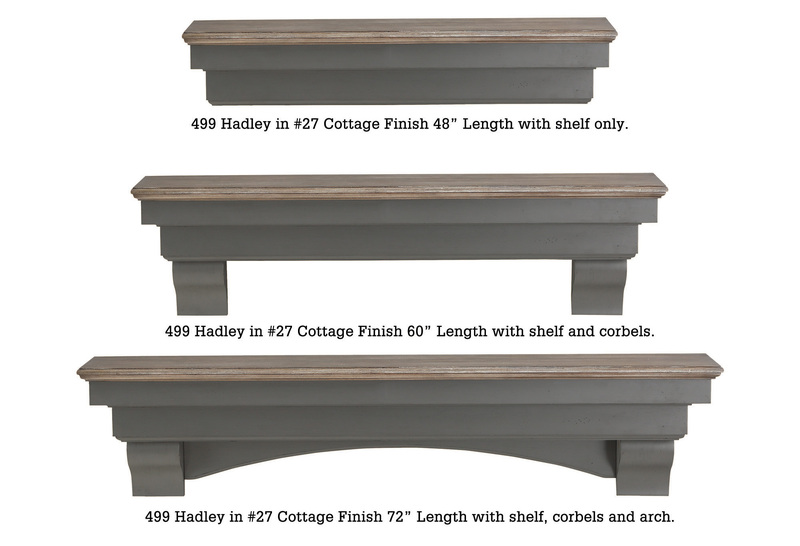 The Hadley Shelf offers three design choices! Click on the image below for an enlarged view.